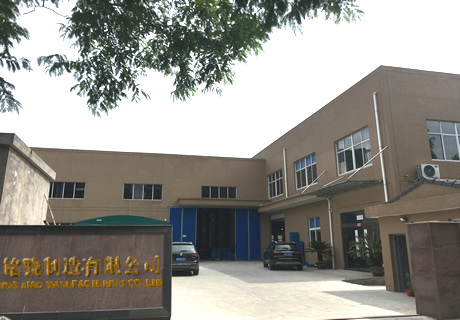 Welcome To Ming Xiao Manufacturing Co., Ltd.
Ming Xiao specialize in all kinds of metal & plastic machine parts custom manufacturing services, We produce Lathe Turning Parts,Metal Stamping Parts,Metal parts welding and forming,Plastic injection molding parts,Plastic extrusion profiles and tubes. We also have a professional partner factory develop nitrogen gas springs/ gas struts for foreign customers. We are professional Metal Parts & Plastic Manufacturer located in Ningbo, Zhejiang, China.We have more than 20 years history for custom metal machine parts manufacturing, and 15 years export experiences for our foreign customers,we have different factories in Ningbo, such as Metal stamping factory,lathe turning & precision machining factory,plastic injection molding factory,Plastic extrusion factory. Ningbo is a famous Mold & metal parts manufacturing city, we have many friend factories for produce others parts for us, such as cold heading / cold forging factory,brass hot forging factory,aluminum die casting factory, stainless steel casting factory.That is very convenient to produce different components and optimize production technology, save cost and improve quality, Our customers mainly come from USA, Europe, Israel, Australia, South America,etc. Welcome send your designs or samples of your Metal / Plastic Components to us, we shall quote you in 48 hours. Designs can in many kinds of formats, such as pictures, 3D model, CAD,etc. Price terms: FOB Ningbo, CIF destination port. Packing: Plastic bags,paper cartons, or Tape and Reel for SMT Pick and Place, then by Composite-board(seaworthy plywood) pallets.customers appointed packing also available. Our advantages:High Quality,Low Price,Multiform & Good Services,Rapid Response.